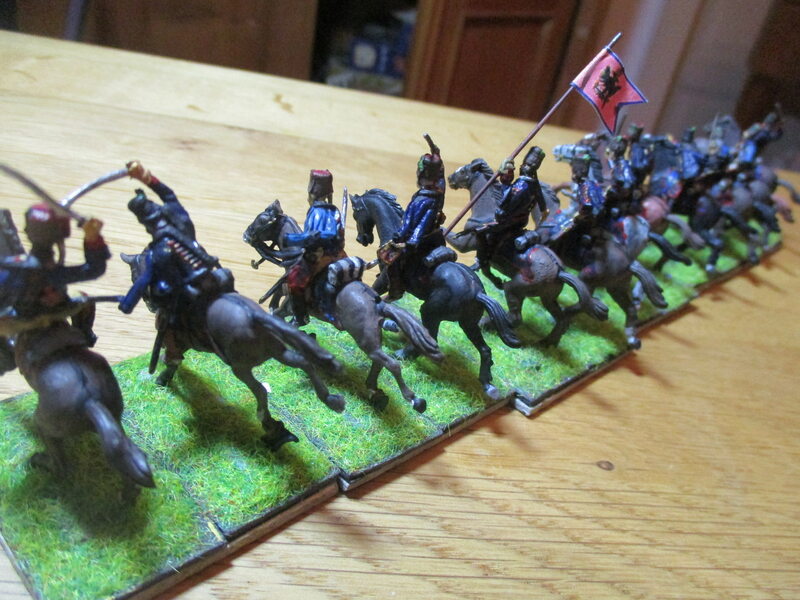 Now here come my last austrians for several months. 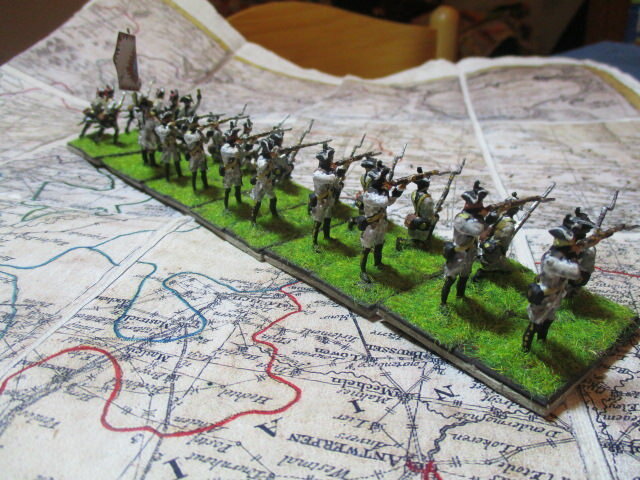 This is the last light infantry unit I needed for my scenario of the battle of Pfaffenhofen. As you may see: the sources on kronoskaf are nearly useless for these figures. Prolific Damnitz, and improving by the minute! I'd better get by skates on and catch up on my production line. I try my best. It's a shame, that I will not paint more austrians for months. Many other Projects. One or two more regiments of dragoons will have the best chance to see the light of day. 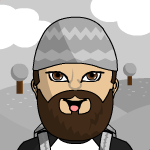 But even this will happen, when I finished my british army. Now I painted a horseteam. The first two horses should be Freiberger and the other two should be Noriker. 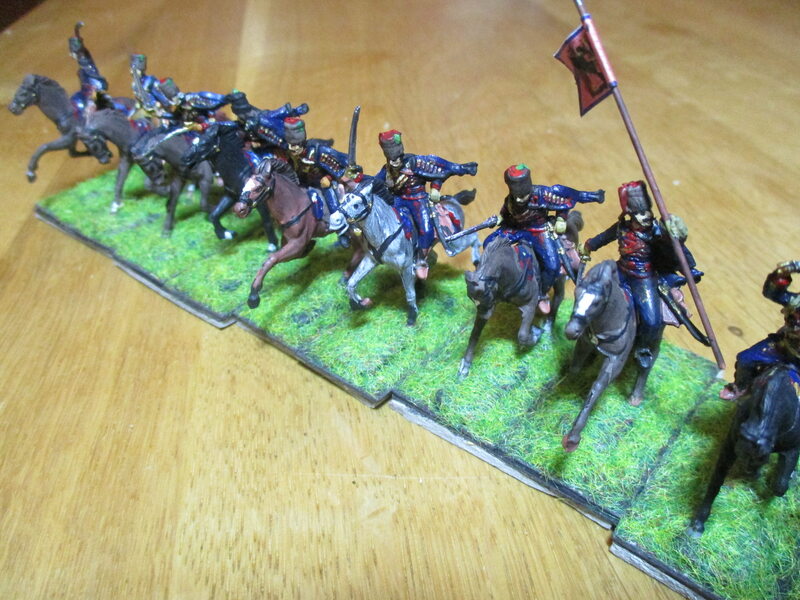 I believe that I may paint my French horseteam all in dark Brown. I remember an event were we had Norikers only and all of these strong horses were bay and very dark. 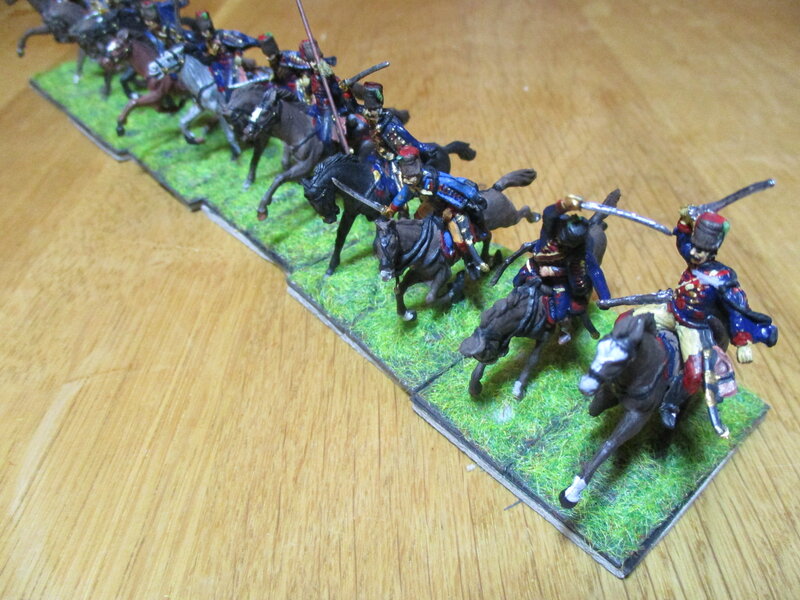 The French horses will have to pull the French 16 lb. gun. I'm afraid that historically they used a team of 6 up to 8 horses for such a tough job. On the other side I learned from our friends that's a question of the age of the horses too. I remember two horses (Walache perhaps) from whom one only pulled a massive mail coach. I was really impressed how strong these animals could be. I wanted to reflect that the wooden parts are really used. Excellent stuff, thanks for posting. I like the way the limber drivers are in civilian clothing. 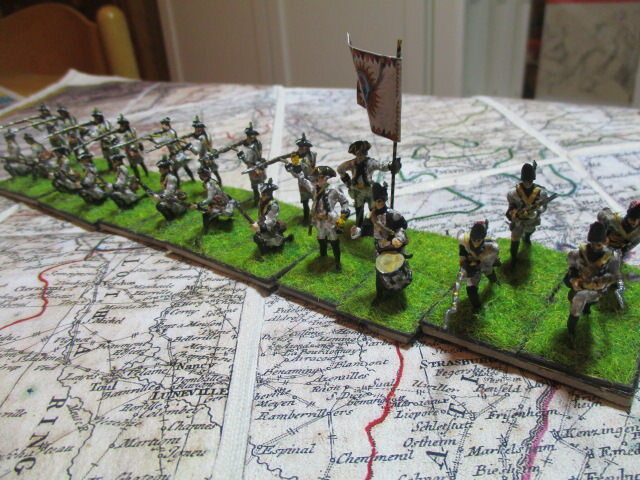 Regiment Ligne at last after a lot of trouble at the weekend. Some greenstuff on the grenadiers. 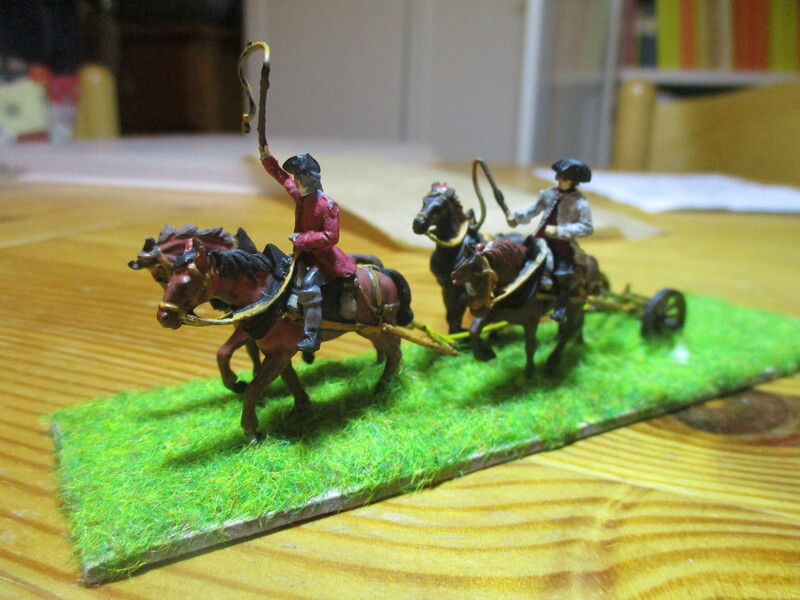 Figures are the old Revell-miniatures. The uniforms are following the pictures by Gudenus and Morier. Very nice to see your version of a unit I have produced in 10mm. 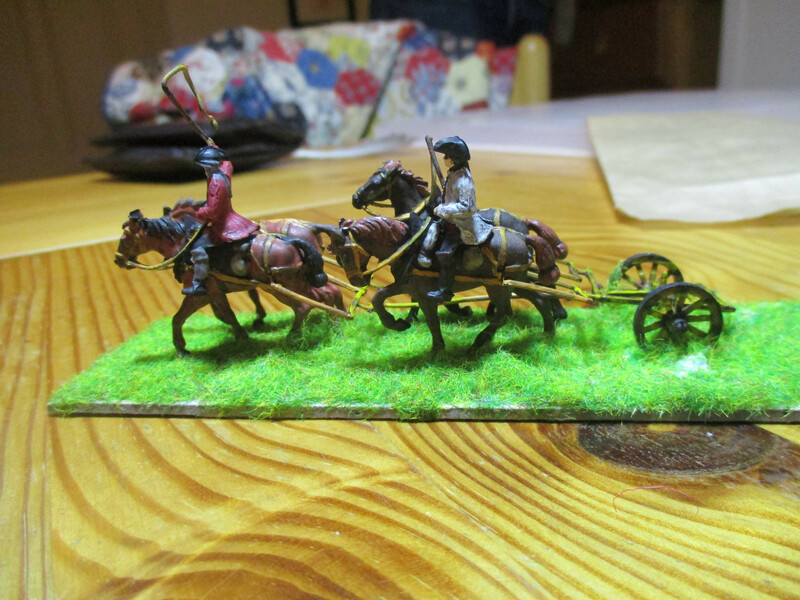 I believe that this unit is a wargamer's classic. 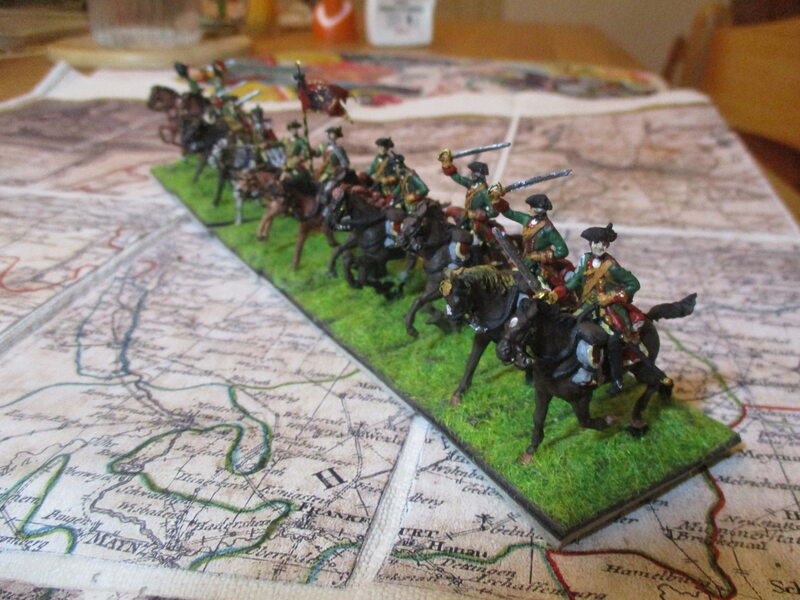 Green and red is far more interesting than all those blue and red dragoon regiments. Besides the regiment served in so many actions, that it is convincing to choose it. 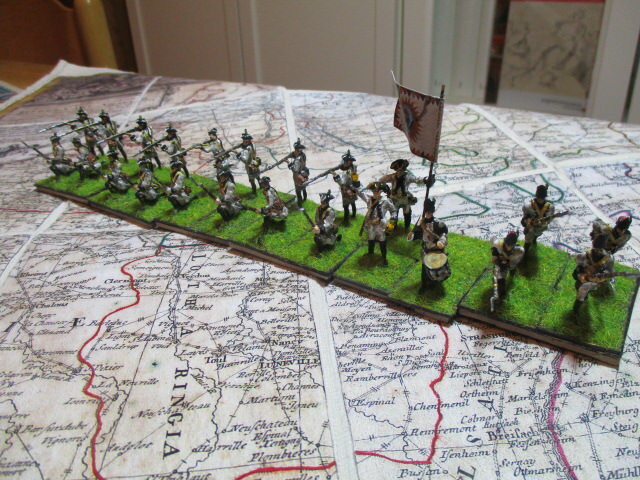 Finally after some delay by our major events this year (living history in France and Swabia) I managed to finish a batallion of austrian foot. This is from the Regiment Salm with the famous black distinctions. 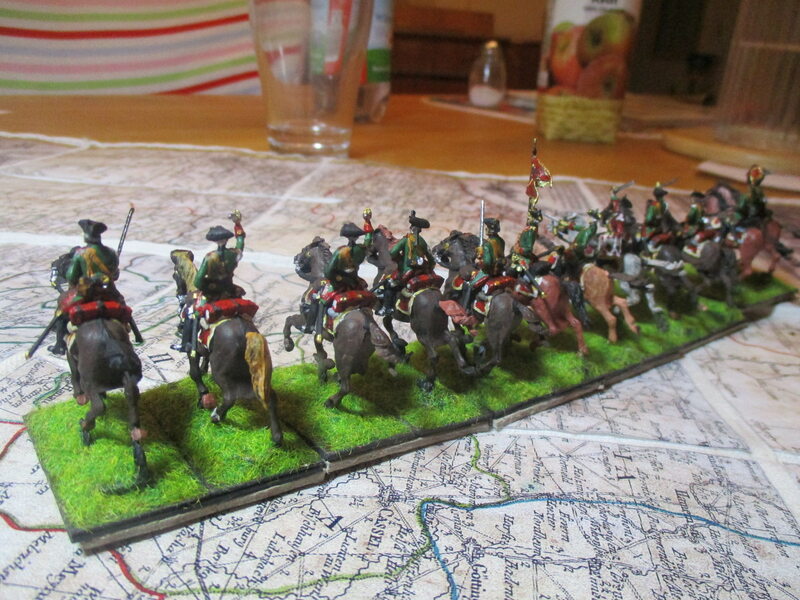 The figures are a mix of austrian artillery (for the officers) and austrian and prussian infantry from Revell. I had informations about different distinctions (red, Grey, light blue) for this unit, but prefered Morier's picture. 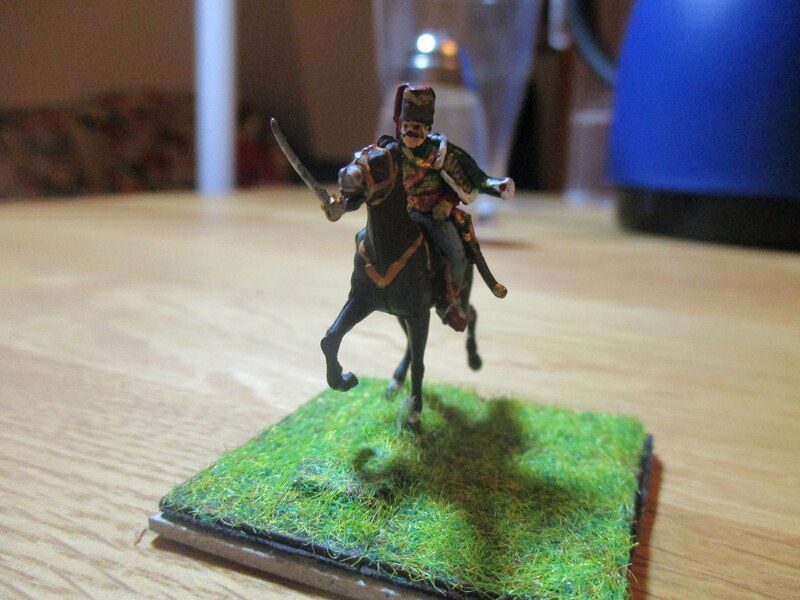 My new Regiment is the Karolyi-Hussar-Regiment. I painted the figures as a mix of old uniforms, painted by Gudenus in 1734, and new uniforms, painted by Morier in 1748. 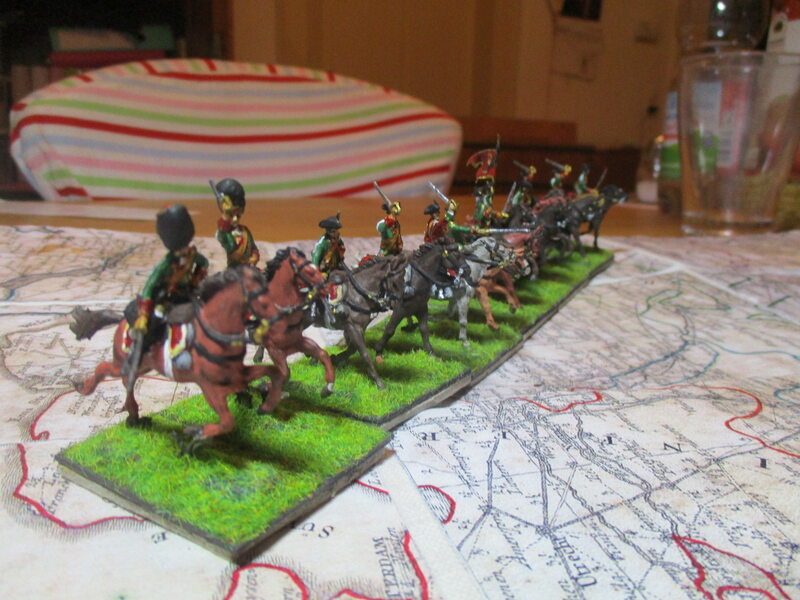 The figures are a mix of Esci (British napoleonic hussars) and Revell (Prussian SYW-hussars) with some work on the trumpeter. I cut off his instrument and gave him the flag.